Explore Multilayer Flooring styles and features! 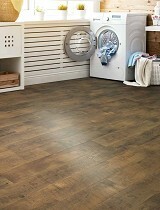 Buy Multilayer Flooring Today and Save! Multilayer Flooring has a large variety of luxurious styles and colors to choose from, create a stunning look for your room! 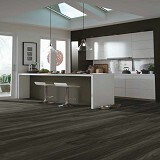 What do you get when you take the best attributes of each type of flooring and combine them with today's technology? With Multilayer Flooring, known as MLF flooring, you get the biggest advancement in flooring products in a century! Times are changing and flooring materials are changing to meet the increased requirements of today's increasingly more demanding consumer. Performance, design and cutting-edge manufacturing has lead to a wide range of Multilayer Flooring products being introduced by the largest and most established brands in the flooring business in the largest array of styles, colors, patterns, and looks to fit the needs of any flooring project, multilayer flooring is truly the perfect blend of design and functionality and introduces an entirely new category of 100% waterproof hybrid flooring. The Top flooring manufacturers around the world have begun to produce kid-freindly and pet-freindly waterproof multilayer floors over the last few years and continue to push the boundaries of the technology further with each incarnation, these are the brands you know and love such as Mohawk, Mannington, Congoleum, Armstrong, Adore, Karndean, USFloors, Shaw, Earthwerks, Neptune, Wicannders, Novalis, and Palmetto Road to name but a few, these are the power players, the true veterans of the flooring industry, who all have recognized the changing times and have embraced the challenge to innovate what is possible in the industry. Some new multilayer flooring options are based on eco-friendly material combinations that make an enormous impact on the number of raw materials being taken from the environment. This leads to a more environmentally friendly product, an easier overall installation process, which can also easily be removed and reinstalled, or recycled, thus saving even more on raw materials. Because of the manufacturing processes and materials involved, each layer of material has its own distinctive characteristics. Each manufacturer has its own specific way of assembling the different layers of material in ways that are unique to each brand. In most installations, the decision on which brand of multilayer hybrid flooring to purchase will come down to personal preference, choice of style, availability, and price, which could lead the consumer to choose one brand over the other in any given circumstance. These distinct differences allow for a wide range of advantages for the consumer, leading to an overall improvement in all aspects of the materials such as: increased impact resistance with enhanced surface treatments, sound absorption due to attached underlayments that prevent sound transfer to the sub-floor as well as prevent and inhibit mold and mildew from forming, antimicrobial characteristics of the top wear layer, sealant layers, improved stability from the advanced core materials, and most of all the ability to create the look of any material under the sun, from a warm natural wood to the most classically detailed tile, to ancient worn stone, to modern high tech textures, the style is available to create a uniquely beautiful space. Over the last few decades, purchasing flooring has become a confusing mess of acronyms and poorly understood terms, WPC, LVT, waterproof wood, LVP, WPS, waterproof Laminate, and others, all of which create a great deal confusion for the consumers. With the MLF multilayer category of flooring exploding in popularity all over the world, the change back to simplicity is finally here. When beginning a flooring project the customer does not care what the acronyms mean, they want to know if the product will last and stand up to the everyday wear and tear of their busy lifestyle, what kind of look can they achieve with a product, is it easy to maintain with pets and kids, can they install it themselves, how long and what the warranty covers and of course what kind of price they can expect. Multilayer flooring addresses each of these concerns beautifully while keeping the focus on the aesthetics and performance features of each product all while being 100% waterproof which makes cleaning incredibly easy, and stress-free which is one of the biggest selling points of waterproof multilayer flooring, once the floor is installed there is nothing to worry about, it will take whatever you can throw at it in stride because it is built from the ground up to withstand commercial level traffic and abuse. Buy Waterproof Multilayer Floors today at ACWG - Save 30-60%!